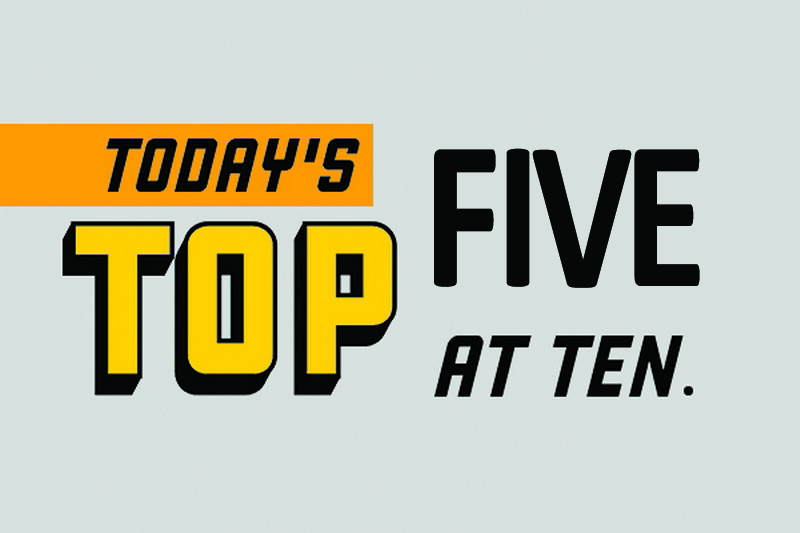 This Top 5, comes from interest.co.nz's own Gareth Vaughan. Note, Top 5 has replaced our previous Top 10 column. We are always keen to find new Top 5 contributors so if you're interested in contributing, contact gareth.vaughan@interest.co.nz. The evil and magnitude of last Friday's terrorist attacks at two Christchurch mosques, the Al-Noor Mosque and the Linwood Islamic Centre, has made the usual round of economic, financial and business news we cover at interest.co.nz seem trivial and unimportant in comparison. Thus it was understandable that our scheduled Top 5 contributor couldn't manage one this week. Hence this week's Top 5 is another one from me. But I promise it'll be my last for a while. Our thoughts at interest.co.nz are with the Christchurch victims, their families and friends. By Pat Campbell, The Canberra Times. 1) Remembering the victims & denying terrorists the media stardom they crave. Prime Minister Jacinda Ardern saying she will never use the name of the alleged Christchurch terrorist and imploring others to follow her lead, sparked some debate this week. I responded to a couple of interest.co.nz commenters who had criticised Ardern's stance, defending it. A heinous act of terrorism was committed resulting in 50 deaths and many other people being seriously injured. There's detail on the victims and the lives they were leading prior to last Friday's atrocity from RNZ, Newshub, the Herald here and from Stuff here. There are more stories about the victims' lives elsewhere too. If you haven't read, watched or listened to any of them already, please do. The PM is trying to keep the focus on the victims, not on the perpetrator. We had all heard the name of the alleged perpetrator before Ardern spoke out. And unfortunately we are likely to hear more about him when he goes to trial. It appears there's also going to be fall out over possible intelligence agency and police failings. So now is the time to focus on the lives stolen and irreparably damaged by a horrendous act. But enough from me. In an article in Britain's Evening Standard Brendan Cox, husband of MP Jo Cox who was murdered during the Brexit referendum campaign in 2016, came out in support of Ardern's position. In the two-and-a-half years since my wife Jo died, I have never uttered the name of the person who killed her. My children have never heard it and it doesn’t appear in the book that I wrote about Jo. He has been forgotten by our family and by the vast majority of the public. And that’s how it should be. Because as a bereaved family you want the focus to be on your loved one; the joy they brought to your life and the lives of others. You want their story to be heard. But it’s much more important than that. One of the reasons that many terrorists attack is to gain notoriety. That’s because while extreme ideology is an important part of what drives terror, personal motivations are at least as great. Terrorists are often people seeking recognition, affirmation and meaning in their empty lives. That’s why they wear cameras. It’s why they write manifestos. It’s why they film videos of themselves. All of that makes sense from their perspective but what doesn’t make sense is our media playing into their hands; promoting their videos, hosting their manifestos, telling us their life story again and again. I’m not suggesting that the media shouldn’t say who carried out the attack — of course they should. But there’s a difference between reporting the facts and obsessively promoting the name, image and agenda of the perpetrator. 2) Europe's money laundering woes. Bloomberg has taken a look at Europe's spate of dirty money scandals. Many of the recent ones have involved Russian money and Nordic banks. But many of Western Europe's biggest banks including HSBC, BNP Paribas, Deutsche Bank and Rabobank, have had their time in the money laundering spotlight too. So why does money slip through the cracks in Europe? That’s because while funds are allowed to flow freely among banks and across borders, European rules against dirty money are implemented unevenly across the bloc and efforts to clamp down on illicit cash have largely been national affairs. Europe’s banking rules were designed to protect taxpayers from having to bail out banks, not to prevent illegal flows. That will be difficult to change. The European Commission, which functions as the executive branch of the EU, has proposed giving more authority to the European Banking Authority, allowing it to request national investigations. But extra staffing at this point is budgeted at just 12 people, a very limited number compared with the size of the task, according to José Manuel Campa, who’s slated to take over the agency this year. Furthermore, some government officials have resisted efforts to create a centralized European enforcement authority. Given the surge in populist parties, it would be difficult to win approval for an EU-level enforcement agency that could order raids on banks or seize people’s accounts. “This is about criminal activity, their own jurisdictions, their own police forces, and that is not a joint EU undertaking today,” says Erik Thedeen, head of Sweden’s FSA. “I’m a little bit skeptical about saying that everything should go central.” On March 8 at a Stockholm conference on Europe’s banking union, Berg, the Danish regulator, said coordinating financial intelligence units, police, and prosecutors with a European agency would be a challenge. Goal celebration from NZ footballer Kosta Barbarouses, who plays for Melbourne Victory, last weekend. Video here. 3) A warning from Latvia. Latvia's foreign minister Edgars Rinkēvičs has told The Guardian the Baltic states can no longer cast themselves in the role of being a bridge between Russia and the west because a series of crises have shown Russian determination to interfere in western democracy or use Baltic banks to launder corrupt money. Rinkēvičs says public awareness must be raised with the role of journalists as gatekeepers against fake news restored. Spank the Banker is a Scottish film that "seeks justice for those whose lives and businesses were destroyed by bankers." The film's makers maintain that, in the decade after 2008, Britain saw "the greatest bank robbery in history" with £100 billion of assets taken from small businesses. 5) Trump's history with Deutsche Bank. US President Donald Trump's financial ties to Deutsche Bank are under investigation by two congressional committees and the New York attorney general. Against this backdrop The New York Times has published an investigation into the relationship between Trump and the German bank. It's based on interviews with more than 20 current and former Deutsche Bank executives and board members, most of whom are said to have direct knowledge of the Trump-Deutsche relationship. It's an interesting read. Speaking of Trump, he spoke on the phone to Ardern after the Christchurch terrorist attacks. Asked what offer of support the United States could provide, Ardern said her message was; "Sympathy and love for all Muslim communities." As highlighted in the cartoon from Politico's Matt Wuerker below, this would be quite a change for Trump. I find it outrageous that the media is connecting this Massacre with Trump... worse than that, it sickens me. 2 min silence at 1:30 pm.. I'm going to do this and encourage all visitors to this site to join in. 4) Where/how can we see the film please? Sorry Davo, I'm not sure if it's available in NZ. No 1: I'm still angry. Not sad, not sorry, just angry. No 2: Europe's money laundering billions is helping to keep some of those banks afloat. No 3: Shootin Putin can't believe his luck. The west is in disarray. No 4: The Banksters. What more can be said? No 5: Deutsche Bank Trumped. No 3: Divide and conquer. Old fashioned concept that still works. Most clearly seen in the realms of identity politics and academia and the continual attacks on trade unions - I hope it is the Russians because surely we can't be that stupid ourselves. It is only after a terrorist brings us together that being a New Zealander / Kiwi is acceptable; before last Friday it was a way of being labelled right wing and uncaring. "For the euro’s exchange rate to weaken enough to eliminate the current-account surplus, while also clearing the savings glut, the ECB’s interest rate must fall to at least -5%, a number that would destroy Europe’s banks and pension funds in the blink of an eye". The Deutsche Bank article I read recently states that he lied about his financial position in the loan application(s) that he made. Although they put his net worth at around $780m which is more than what I thought he would actually have. It goes to show that if you owe the bank $10,000 you have a problem, if you owe the bank $2b then the bank has a problem. Yes. Lets remember the victims. Already however we have that dreary lot using their death to preach about colonialism. These victims are people, not a marketing opportunity.